I love lentils, all of them!!! The red ones, beluga, french, split..... I used green french ones for this recipe. It is perfect for a light and healthy dinner! Also a winner on Meatless Mondays! 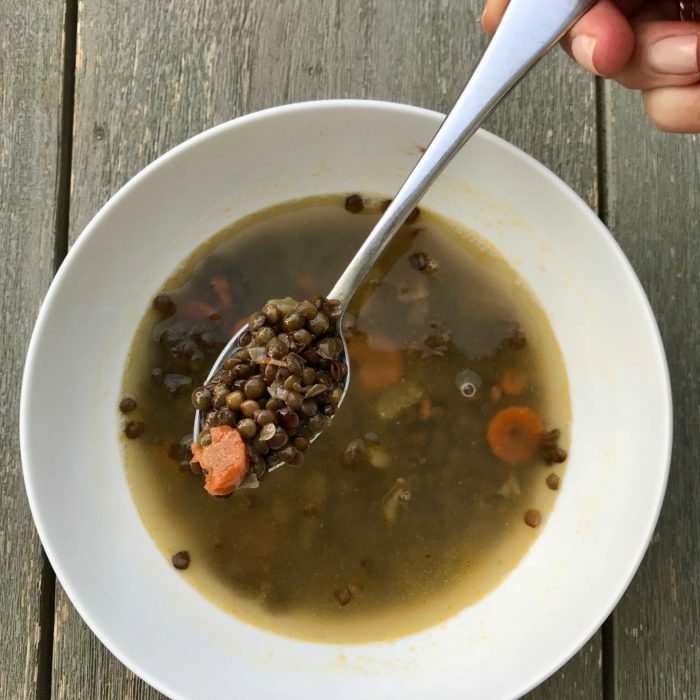 I like my lentil soup clean and more like a stew so I do not mind if there is not too much liquid, feel free to add more stock depending on the consistency you want. How much lentils do you put in the recipe?